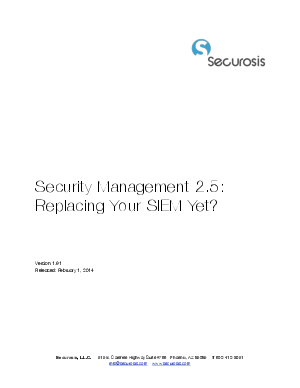 > McAfee > Security Management 2.5 – Replacing Your SIEM Yet? This paper will walk you through the entire process — from soup to nuts — of evaluating, selecting, and deploying a SIEM. It offers pragmatic advice on how to get it done based on years working through this process as both consumers and vendors of SIEM technology. The process is not always painless, but we are certain it will help you avoid foundering on bad technology and inter-office politics. You owe it to yourself and your organization to ask the right questions and to get answers. It is time to slay the sacred cow of your substantial SIEM investment, and to figure out your best path forward.